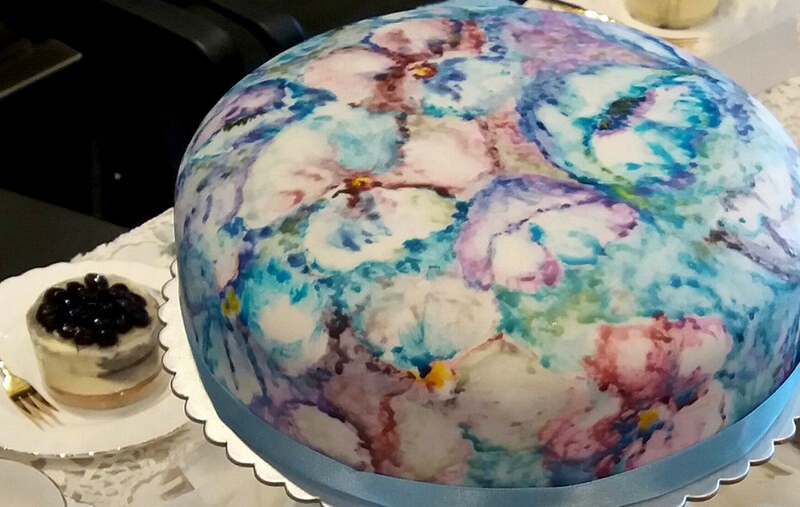 A range of hand-painted celebration cakes has recently seen the light in our area – and these edible pieces of art are already the talk of the town! 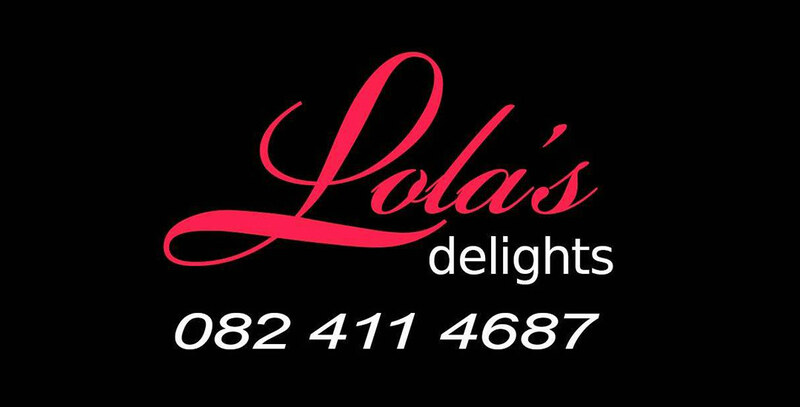 Weddings, engagements, christenings, special birthdays, Easter, Christmas, openings of new businesses, good-bye parties and more are calling out to be celebrated with a delectable LOLA’S DELIGHTS creation. 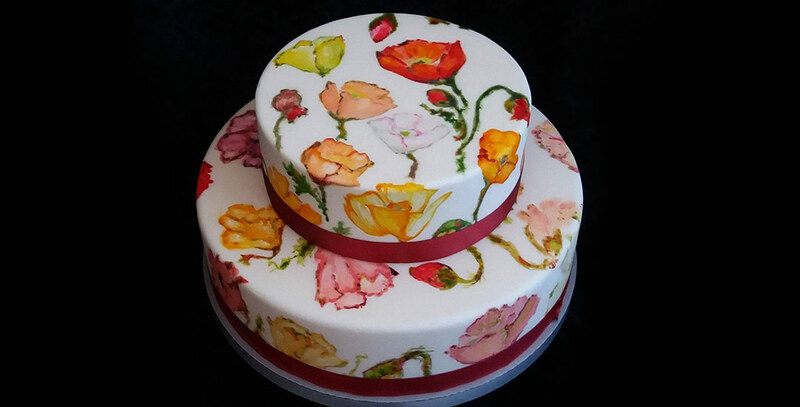 Red velvet, orange blossom, poppy seed, cardamom and rose, carrot, decadent chocolate, light or dark fruit cake – whichever takes your fancy – can be uniquely hand-painted for your special occasion. Bursting in flavour, riotous in colour or calmly serene in soft hues for the quiet, stylish occasion; whispering of storybook tales or sculpted for the day, Lola will create a show-stopper for you. 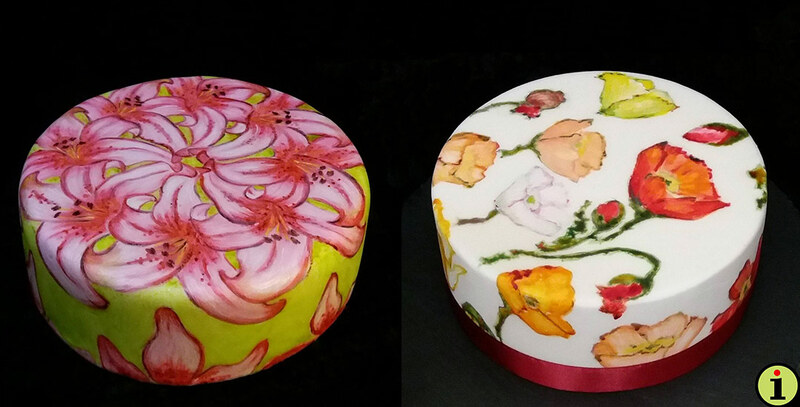 Specialising in painted cakes, she also loves creating naked cakes in delicious creamy Swiss buttercreams crowned with natural flowers – or that special sweet something you won’t find anywhere else! ‘Naked in Nature’ with succulent rock roses. Naked cakes in delicious creamy Swiss buttercreams crowned with natural flowers ­- unabashedly stylish and down-to-earth for the no-nonsense bride. Moist, rich fruitcake recently delivered for a 35th wedding anniversary celebration. Dancing poppies bursting with life and colour and a riotously colourful Stargazer mandala for the bold bride or that special birthday. ‘Naked in Nature’ with Hibiscus. 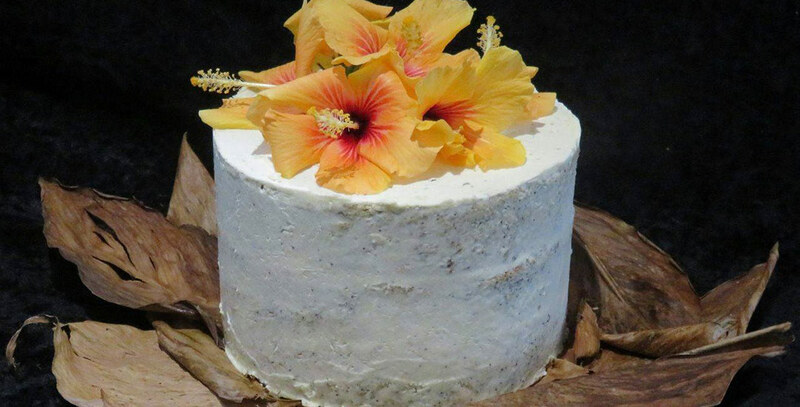 Naked cakes in delicious creamy Swiss buttercreams crowned with natural flowers. 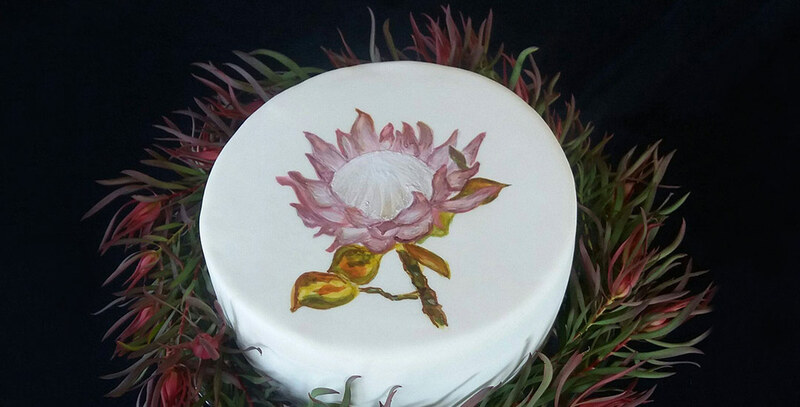 Stately King proteas, fynbos, pin cushions or blushing brides daintily adorn fondant cakes of every size, colour and flavour. 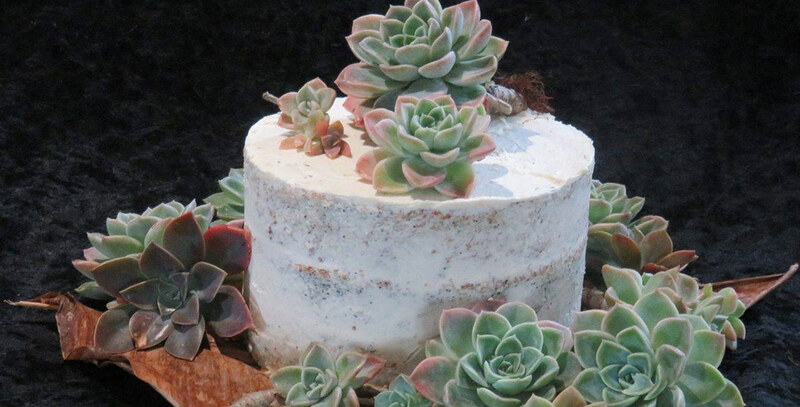 And for a bolder statement – why not add hand-painted aloes to a winter wedding cake? Delightful poppies are dancing in a blaze of colours atop fondant-clad cakes – so delectable you can’t wait to pop a moist morsel in your mouth! 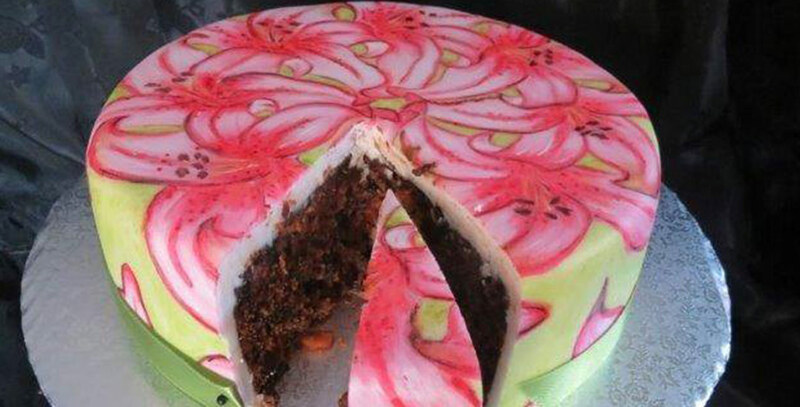 As pretty as a picture – cake painted by Lola for a recent CANSA fundraiser.